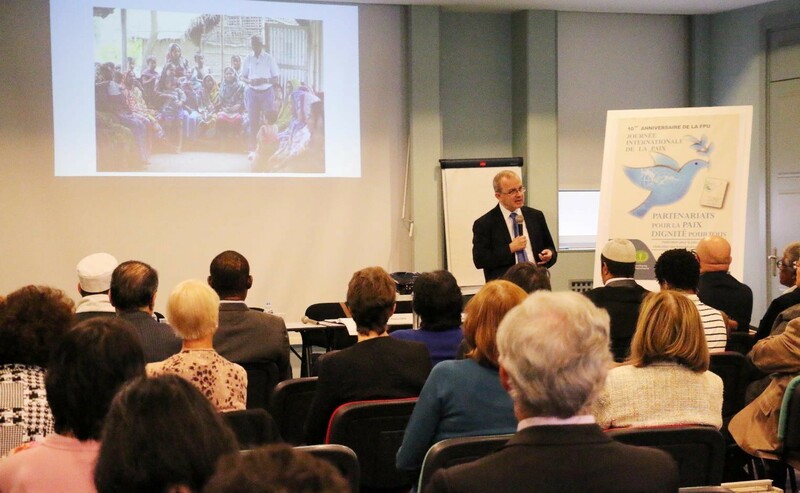 By UPF France, Jacques Marion, Paris, France, September 19, 2015: On September 19, 2015, the International Day of Peace was celebrated in Paris at the “Salle Accueil Barouillère”, as an event jointly sponsored by UPF and WFWP. 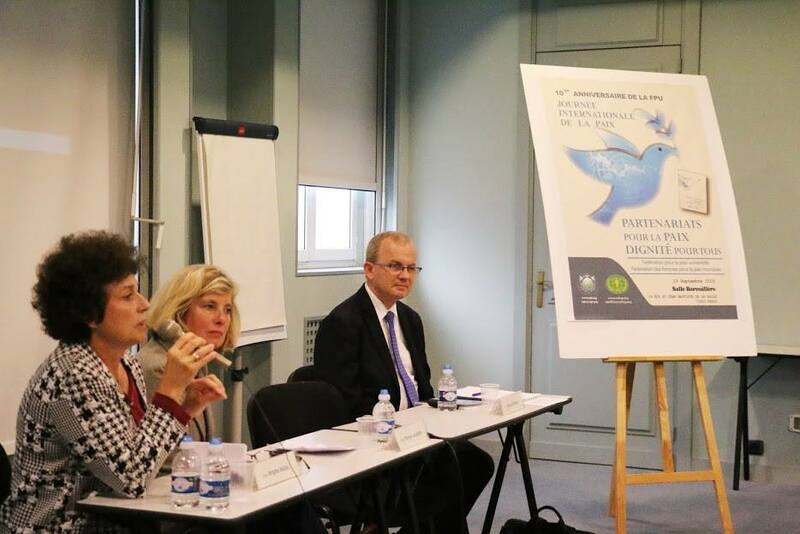 With the UN-given theme of “Partnership for Peace – Dignity for All”, the meeting was attended by Peace Ambassadors and new guests, all together over 70 participants. 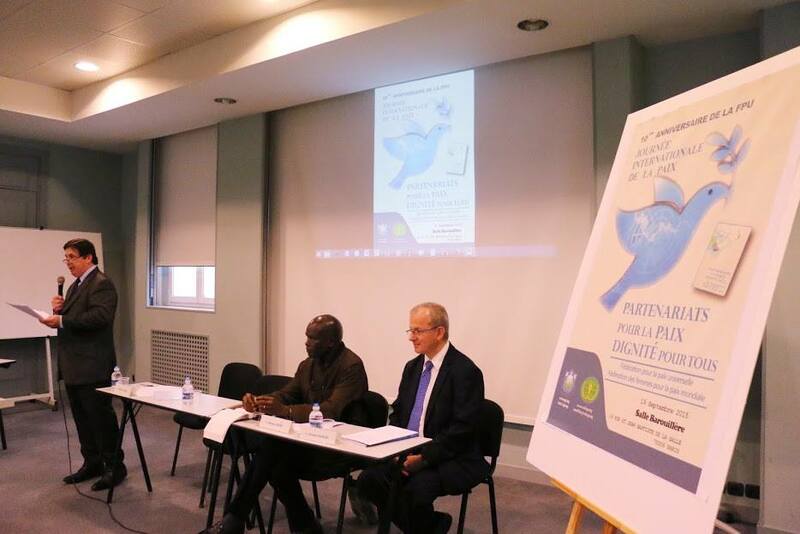 Moderated by Patrick Jouan, UPF- France Vice President, who welcomed participants, the first session began with a brief report by UPF-France president Jacques Marion on the recent World Summit 2015 and Sunhak Peace Price ceremony in Korea. The main speaker of the day, Mr. Doudou Diène, from Senegal, was then introduced. 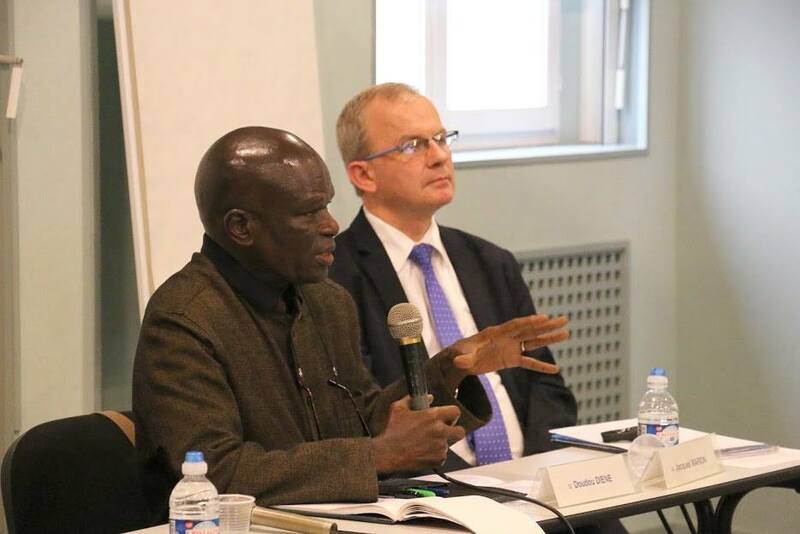 A former UNESCO Intercultural and Interreligious Department Director, former UN Rapporteur on Racism, Discrimination and Intolerance, and until this year a member of the UN Commission of Inquiry on Gaza, Mr. Doudou Diène had attended the UPF World Summit 2015 in Seoul. He gave a very articulate speech on the challenges facing Europe, from the migrants to war in the Middle East, in the context of a global transformation redefining the way we look at the world, national boundaries and human solidarity. 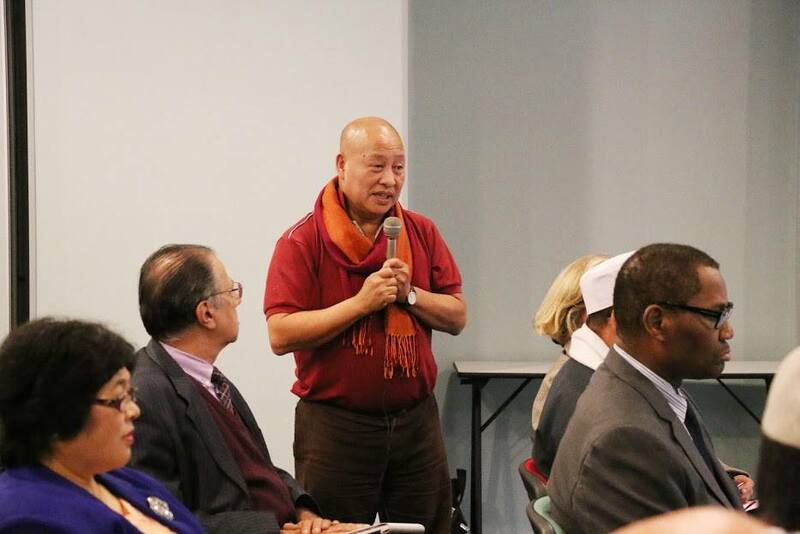 He emphasized the need for interreligious dialogue, and the conditions it needs to succeed: First, that we shift from a theology-based dialogue to dialogue based on ethics, where we identify our common values. Then, that we shift from a widespread ideological view of religion that focuses on geopolitical interests and leads to conflict and violence, to an ethical view based on human rights and the human spirit, re-affirming the freedom of conscience and expression. He noted that we should pay attention to the spontaneous momentum of solidarity expressed by people around the world, as seen in recent examples of solidarity with the migrants, as a sign of a dawning new era. The audience was captivated by his speech, and the question-answer session went far beyond allotted time. In the second session, Mrs. Patricia Lalonde, president of the women’s rights association MEWA, who has worked to support women’s rights in Afghanistan, Kurdistan and other nations, gave her perspective and a report on projects of her association regarding the question of migrants in Europe. 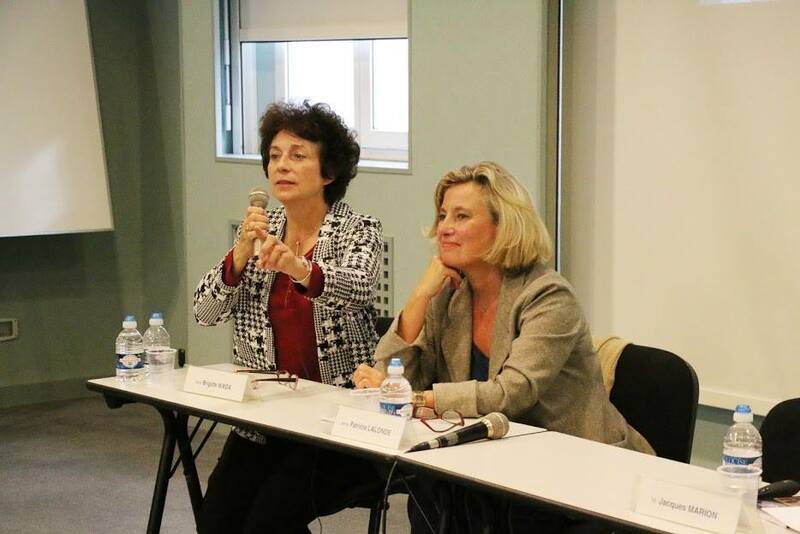 Brigitte Wada, WFWP-France president and the session moderator, reported briefly on WFWP social activities around the world. Jacques Marion concluded the day, on the occasion of the 10 year anniversary of UPF, with a presentation on UPF vision and projects in regards with the current crises in Europe. 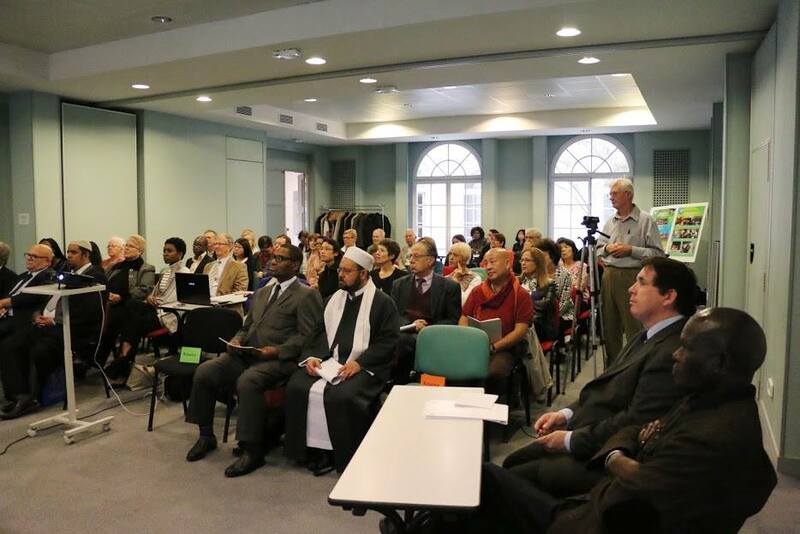 He outlined UPF’s two main strategies of peace through interreligious dialogue and cooperation between religious and political leaders, and through strengthening the family. He then presented several tools of peace education, from youth programs to a character education curriculum, which UPF intends to develop until 2020.